I’m not as lucky as my Dad was, but I’m right up there. My Dad could walk into a dance, or carnival, or the like... win the door prize, and/or walk out with the top prize, by the very act of “being there”. Mom said it was uncanny, and almost embarrassing. 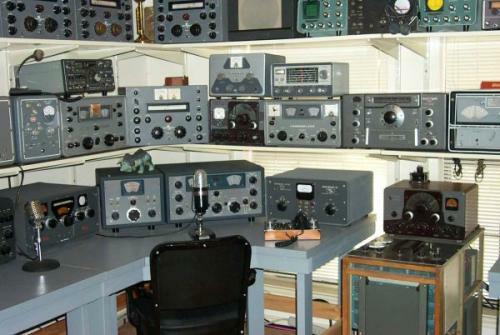 I’m not THAT lucky, but growing up in the 50’s and 60’s (ham radio’wise) was definitely one of the grandest times to have been a kid, interested in electronics and radio. Municipal Trash Collection day, in Kansas City, was on a Thursday, so along with the “other” crazy kids I hung around with, all of us would leave for school early, so we could rummage through the “neat trash” that people had thrown away, and come home with old radios, and anything else that looked electronic, for absolutely NO money, and little effort. 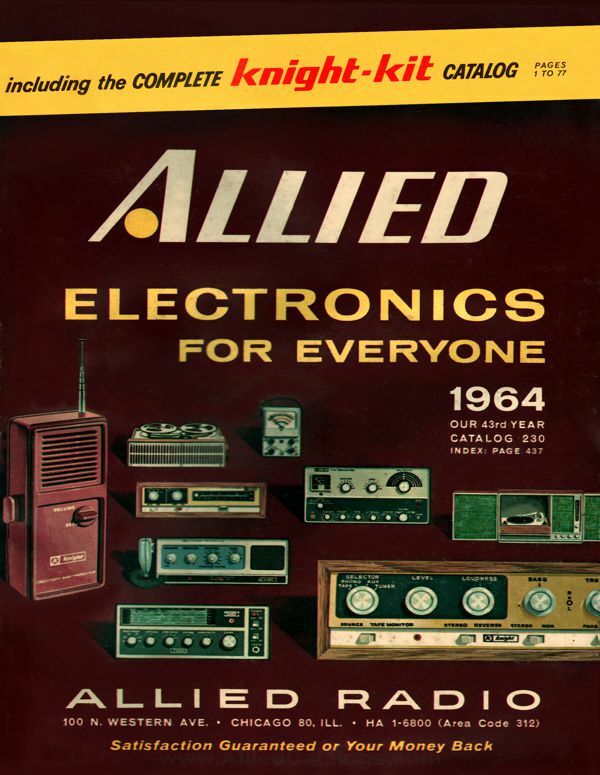 One of THE best parts was getting the ALLIED RADIO, Burstein-Applebee, LAFAYETTE, Jamaica Radio, & HEATHKIT catalogs in the mail, and barring a drool-cup, salivating over the radios in the ham sections (that you KNEW you could never afford). 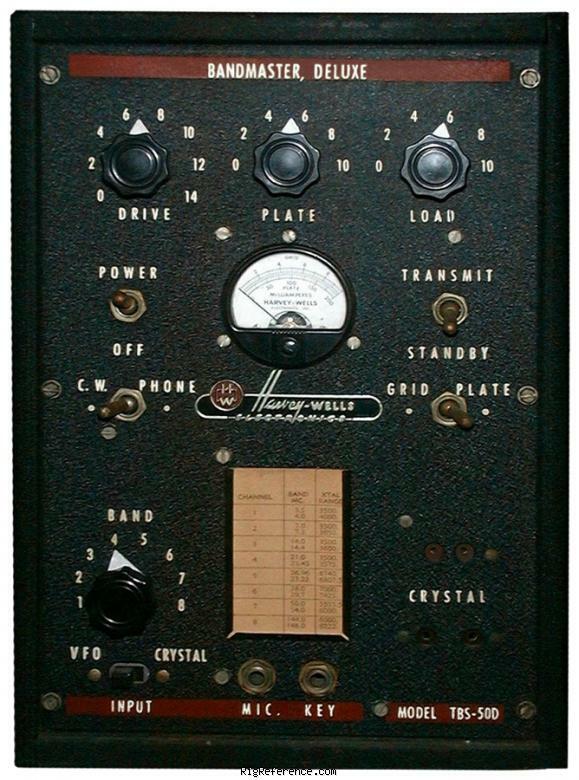 Ham radio gear back then, seemed to be in Wrinkle Paint – so very cool and “official” looking. Black wrinkle, Grey wrinkle, & Green wrinkle were what told you that whatever it was, it MUST be cool... therefore good. Of course, there was National’s gunmetal silver-grey, Hallicrafters’ matte black & silver, Hammarlund’s 2-tone grey, WRL’s weird grey-green trim, Johnson’s grey & maroon, and of course Harvey-Wells’ TBS-50 et. al. in grey wrinkle with red trim. 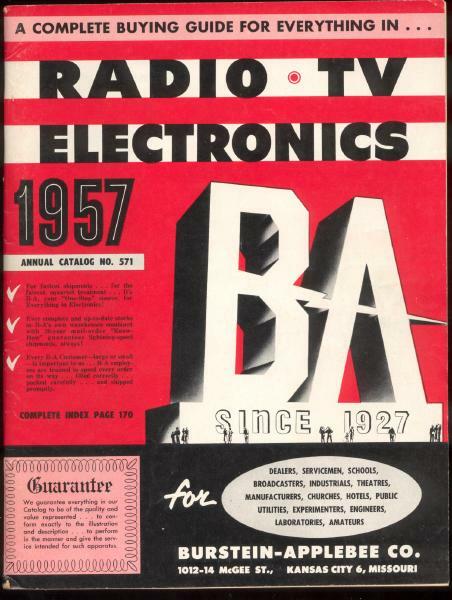 Gonset had the mobile twins in CHROME, and Multi-Elmac made the AF-67 & 68 “Transciter”with a chrome “ring” around the face, but radios had a personality – an “identity” if you will. Simply put, they didn't all wear the same clothes. Oh, and there was something, about gear back then... that incredible scent of Bakelite warm resistors, wire insulation, capacitor wax, and the heady aroma of “burned dirt” atop tubes, all mixed together in a sort of ham’s “Eau d’ Cologne du Electronique” , that to this day, makes my head swim with memories when I smell it, wafting out of the top or back of yet another radio I've resurrected, or been privileged to turn on. I just finished putting back together, a Multi-Elmac AF-68 “Transciter. It’s a 60 watt AM & CW transmitter that was primarily intended for mobile use. Many hams have used them (and still use them) for an AM exciter – thus the name Transciter (transmitter & exciter) at the home station, and they are a direct comparison for the famous Johnson Ranger, which has similar power and features. Some users of the AF-67 & 68, insist that the Multi-Elmac has better audio, but it’s up to the owner. As a kid, I saw one in a car, parked in front of the main store of the old Burstein-Applebee (for whom I worked, later on) in Kansas City. It was SOOoooo pretty, and just looked like the ne’ plus ultra of mobile rigs (which it was) of the time. 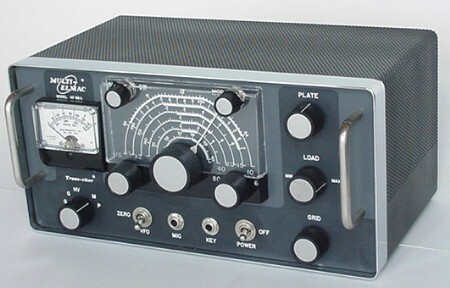 Not long after the AF-68 was brought out (featuring the 6m band, and leaving off the 160m band), our hobby swung toward SSB, and the concept of the “Transceiver”, putting everything into ONE box. The companies that didn't catch on, didn't last – heck, even some that did (National, Hallicrafters, SBE, SWAN, Eldico, Heathkit & Cosmophone, among others) didn't hold onto the market, either. It’s been said that the Yaesu FT-101 caused the “death of Heathkit”, and I believe they’re right.. but even those “hybrid” rigs like the Yaesu’s, Kenwoods, & Drakes have good smells and memories – Sorry, but my ICOM 756 PROII works swell, but it just doesn't have that PERFUME.